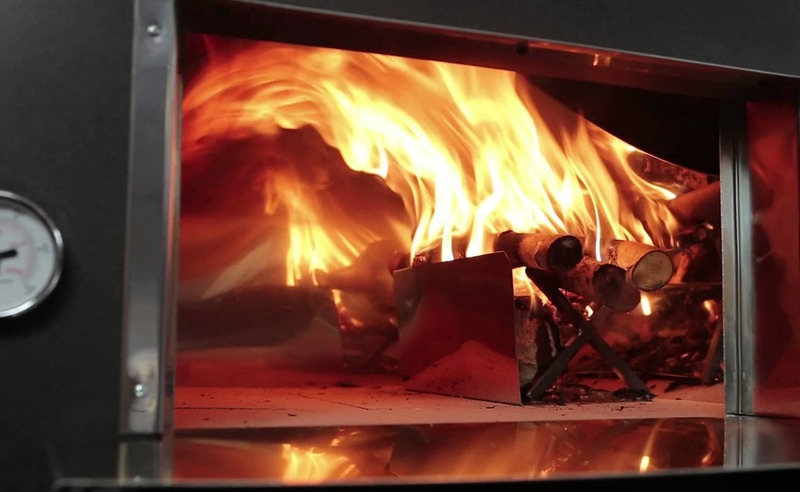 The Happy Pizza wood-fired oven is made of the highest quality stainless steel, and the way it works is simply amazing! 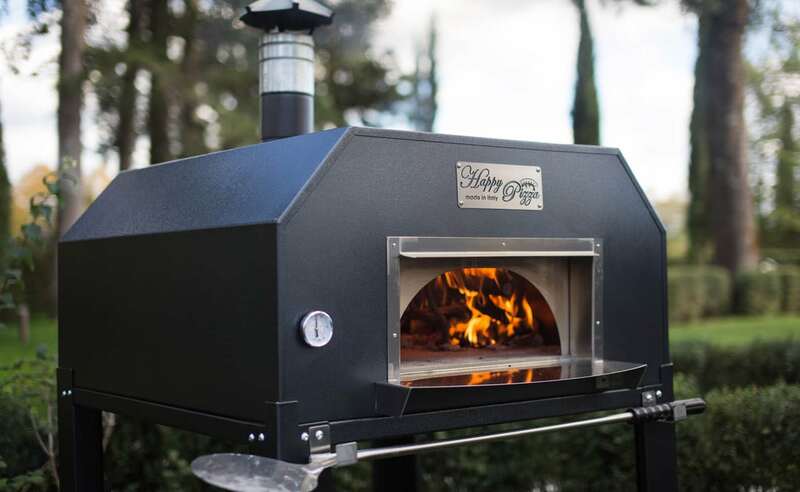 The overall dome structure heats up quickly and reflects on the internal cooking stone, which allows the oven to heat up to cooking temperature in just 8-10 minutes. The maximum cooking temperature can reach up to 930°F/500°C, above and beyond temperatures needed for everyday cooking, while the outside of the oven remains cool due to the natural rock lining that works as an insulator. 3 models are available to suit every cook’s requirements: the Solo, Family, and Professional. The oven size for the Solo is 24” wide x 20” deep, the Family is 24” wide x 24” deep, and the Professional is 24” wide x 35” deep. The benefits of this convenient oven are many. You can cook the perfect pizza in about 3 minutes or you can cook meats, fish and vegetables, all with the unique flavoring of a wood burning fire. The high quality stone oven liner heats the food evenly and quickly to perfection. Easy to use, you can have fun trying out all your favorite or new recipes. 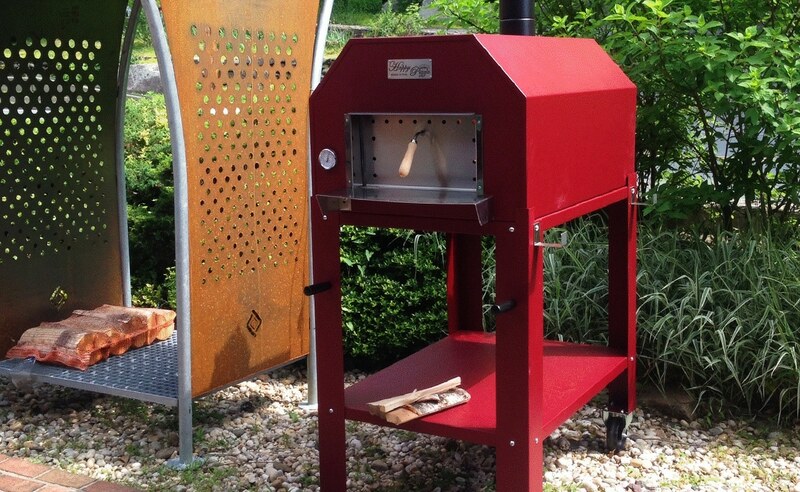 The Happy Pizza oven is lightweight and can easily be wheeled anywhere on its trolley cart. The oven can also be placed on a countertop or built into any structure that has room for the chimney to vent out. 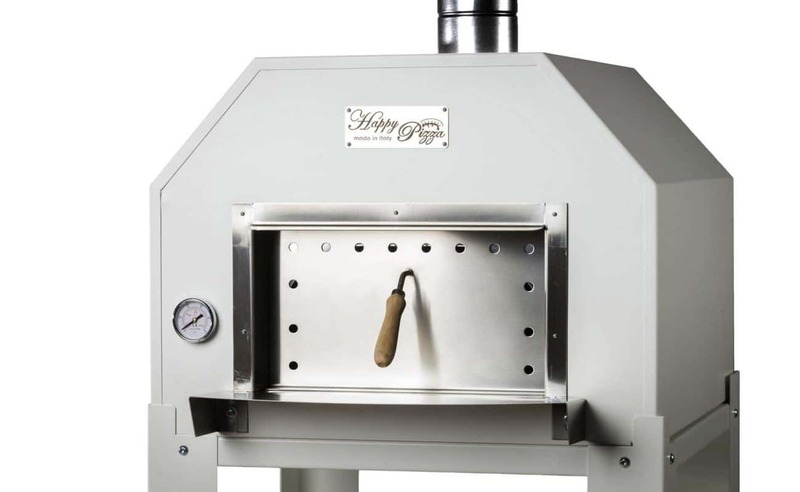 Included with the oven:the thermostat with both F° and C°, removable oven door, stainless steel shelf, flue pipe and chimney top, wood holder support and plate, fire tools (blower and 2 aluminum paddles), and the trolley base (requires some assembly).